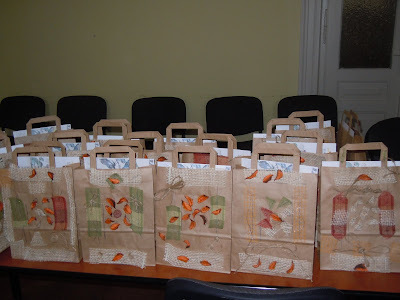 10th December 2011- was celebrated by Slow Food Bran-Moeciu Convivium by organizing a competition-Taste Adventure. Students from the National College Unirea were the main competitors. They had to use their senses to identify the main ingredients of cozonac-Grandma Mariuca’s delicacy. They had the opportunity to watch the documentary “To the origins of taste”, to play an interesting game-Slow Darts, as well as to participate in a debate. In the end, they tasted fresh cozonac and they received special prizes and diplomas. 10 decembrie 2011-Terra Madre a fost celebrata de Slow Food Bran-Moeciu, prin organizarea unei competitii-Taste Adventure. Elevii clasei a-v-a de la Colegiul National Unirea Brasov, au fost principalii participanti. Copii au trebuit sa rezolve mai multe probe cu ajutorul celor cinci simturi, identificand cateva ingrediente-cheie din reteta cozonacului. De asemenea, ei au vizionat un filmulet tematic “ To the origins of taste si s-au implicat activ in dezbaterea organizata. La final, cu totii au degustat cozonac proaspat, au primit diplome si premii speciale. 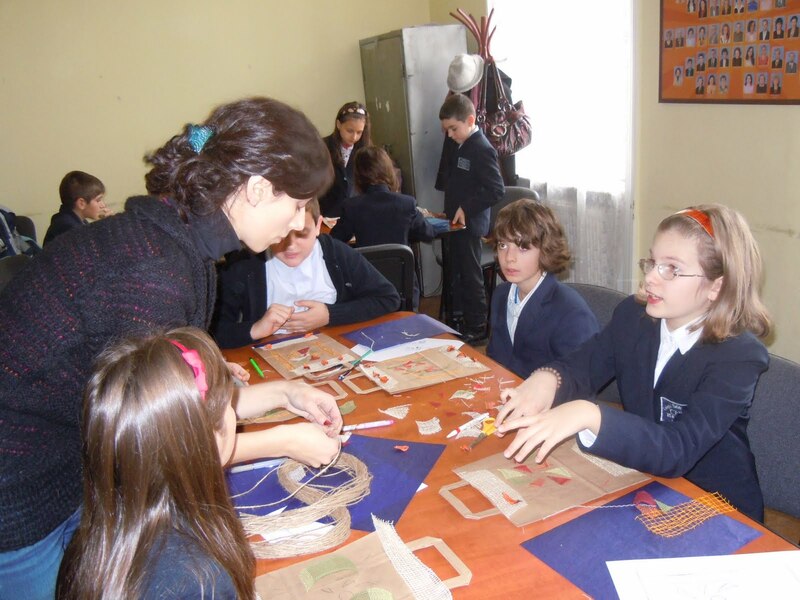 In November the 5th graders from the National College Unirea Brasov participated in a workshop held in their school. 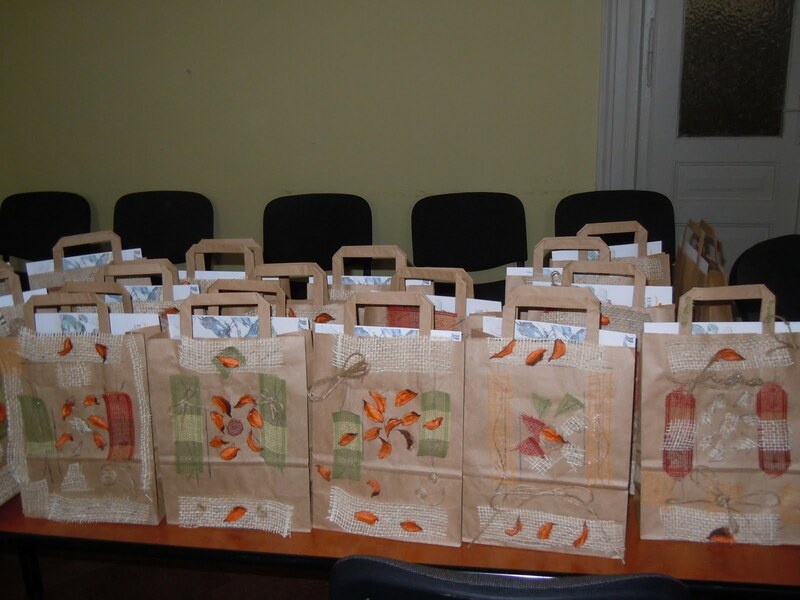 With some help from a trainer, they decorated ecological bags using the patchwork technique. This activity wanted to emphasise the importance of using recyclable materials, but also the possibility of designing a simple, inexpensive and personal gift with just a few objects and a lot of creativity. In November 2011 educators from all over the country took part in a creativity workshop organized by the Association of Educators in Romania, in the village of Sambata. There they designed brooches inspired from nature and special patchworks. This activity aimed to broaden the educators creativity and to put into practice in kindergartens what they have learned.